REGISTERED CORRECTLY AND BUILT IN THE 1980s BUT NEVER USED - ONLY 10 MILES FROM NEW! KEPT IN STORAGE SINCE! THE MECHANICALS AT THE SAME TIME OF THE BODY / PAINT WORK HAVE BEEN FULL SERVICED AND CHECKED OVER. PLEASE CONTACT MIKE OR JAV IF YOU WISH TO SELL YOUR CAR. ELIGIBLE FOR WORLDWIDE HISTORIC EVENTS INCLUDING GOODWOOD! PLEASE TAKE A LOOK AT THE LINK BELOW WITH A SIMILAR TVR GRIFFITH 400 AT THE RECENT GOODWOOD REVIVAL WHICH SHOWED THE REST OF THE FIELD HOW ITS DONE. WITH CORBA'S FETCHING 1 MILLION +, THE TVR GRIFFITH 400 IS A LOW COST FRONT RUNNING COMPETITIVE RACE CAR. WOULD CONSIDER A PART EXCHANGE AGAINST THIS CAR . PLEASE CONTACT ME IF YOU HAVE SOMETHING THAT MAY INTEREST ME. 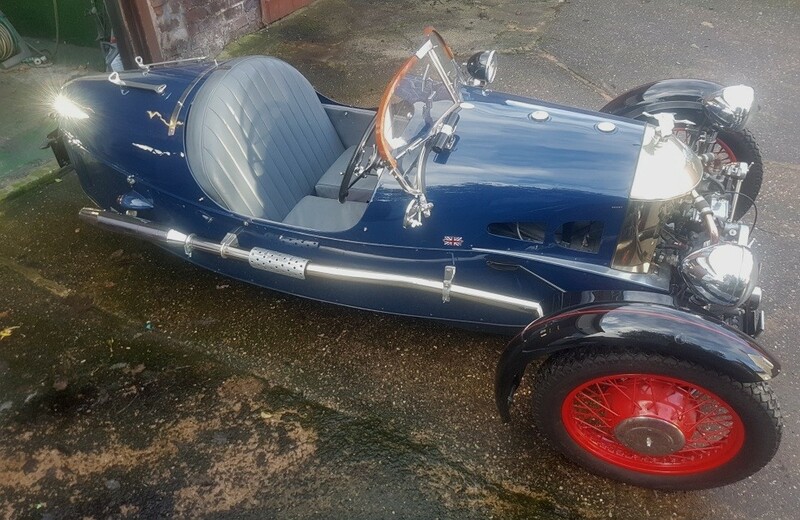 FULLY PROFESSIONALLY REBUILT TO THE HIGHEST LEVEL INCLUDING BODY / THE ENGINE HAS BEEN FULLY PROFESSIONALLY REBUILT INCLUDING MERLIN PISTONS / CAMS ETC ETC. 3 SPEED GEARBOX WITH REVERSE. MATCHING NUMBERS. SMALL MILEAGE SINCE RESTORATION! DIFFICULT TO FIND BETTER!! THE CAR COMES WITH A PORSCHE CERTIFICATE OF AUTHENTICITY TO CONFIRM ALL DETAILS RELATING TO THIS CAR. FACTORY OPTIONS INCLUDING TINTED GLASS, ELECTRIC WINDOWS, AIR CONDITIONING, POWER-ADJUSTABLE AND HEATED OUTSIDE MIRRORS, HIGH-PRESSURE HEADLIGHT WASHERS, AND A REAR WINDOW WIPER. ADDITIONAL FACTORY OPTIONS INCLUDED A LIMITED-SLIP DIFFERENTIAL, ELECTRIC SUNROOF, AND PIRELLI HIGH PERFORMANCE TIRES. WONDERFUL EXAMPLE THROUGHOUT. READY TO DRIVE, ENJOY AND SHOW!